iPhone Stuck Verifying Update? Here's The Real Fix! You are at:Home»iPhone»iOS»iPhone Stuck Verifying Update? Here’s The Real Fix! iPhone Stuck Verifying Update? Here’s The Real Fix! 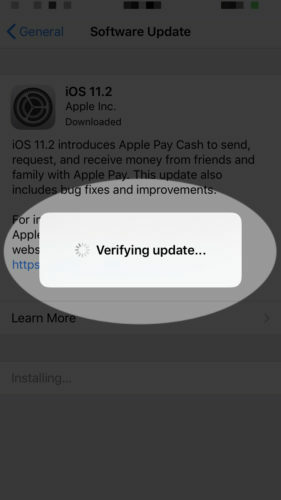 You just tried to install the latest version of iOS, but the “Verifying Update…” pop-up isn’t going away. It’s been on your screen for several minutes, but nothing is happening. 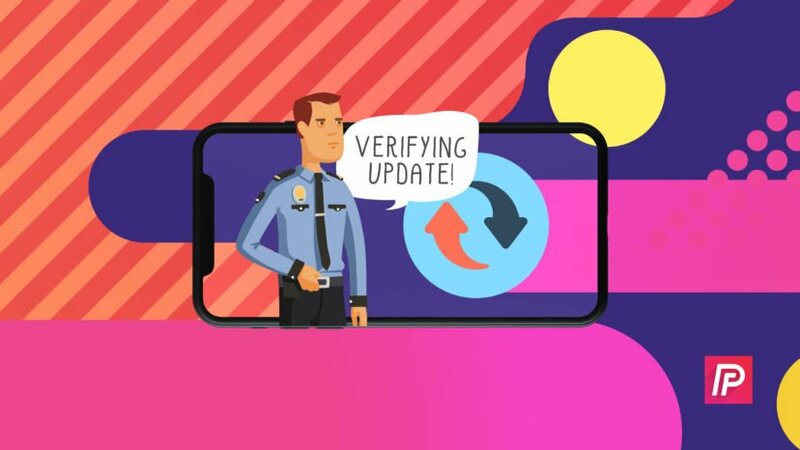 In this article, I’ll explain why your iPhone is stuck verifying an update and show you how to fix this problem for good! How Long Should My iPhone Say Verifying Update? Unfortunately, there’s no one-size-fits-all answer for this question. It can take your iPhone a few seconds or a few minutes to verify an update depending on a variety of factors, such as the size of the update and your connection to Wi-Fi. The last time I updated my iPhone, it only took about ten seconds to verify the update. I’ve seen some readers say it has taken their iPhone as long as five minutes to verify an update. However, if your iPhone has been stuck on “Verifying Update…” for more than fifteen minutes, it’s pretty likely that something has gone wrong. The steps below will help you fix the problem when your iPhone is stuck verifying an update! If your iPhone is not connected to a good Wi-Fi network, it may longer than usual to verify an iOS update. Before trying to update your iPhone, go to Settings -> Wi-Fi and make sure it’s connected to a good Wi-Fi network. You probably don’t want to update your iPhone using your favorite local restaurant’s Wi-Fi! This step is especially important because you can’t always update your iPhone using cellular data. Larger and more significant updates (such as iOS 11) almost always require using Wi-Fi instead of cellular data. When an iPhone gets stuck verifying an update, it’s possible that it froze due to a software crash. To fix this, hard reset your iPhone, which will force it to turn off and back on. iPhone 6 or older: Press and hold the power button and Home button at the same time. Let go of both buttons as soon as the Apple logo appears on the display. iPhone 7 & iPhone 8: Simultaneously press and hold the power button and the volume down button until the Apple logo appears on your iPhone’s display. Watch our iPhone hard reset tutorial on YouTube for additional help. iPhone X: Press the volume up button, then press the volume down button, then press and hold the Side button until the Apple logo appears on the screen. Watch our iPhone X hard reset YouTube tutorial for more help! After hard reseting your iPhone, go back to Settings -> General -> Software Update and try to download and install the software update once again. If your iPhone gets stuck on “Verifying Update…” again, move onto the next step. If something went wrong when you initially downloaded the software update, your iPhone may not be able to verify it. 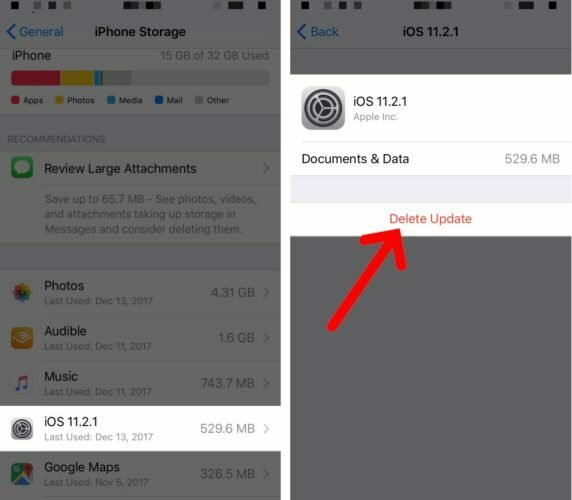 After hard reseting your iPhone, go to iPhone -> General -> iPhone Storage and tap on the software update — it will be somewhere in the list with all of your apps. Tap on the software update, then tap the red Delete Update button. After deleting the update, go back to Settings -> General -> Software Update and try downloading and installing the software update again. If you’ve tried all of the steps above, but your iPhone is still getting stuck on “Verifying Update…”, there may be a much deeper software issue causing the problem. By performing a DFU restore, we can attempt to eliminate a deep software problem by erasing and reloading all of the code on your iPhone. Check out our in-depth article on how to perform a DFU restore on your iPhone! The software update has been verified on your iPhone and you can finally install the latest version of iOS. If your iPhone gets stuck verifying an update again, you’ll know exactly how to fix the problem. I look forward to hearing from you in the comments section below — feel free to ask any other questions you have too! Previous ArticleHow To Preorder Apps On iPhone: New App Store Feature Explained! Next Article Wireless Charging Not Working On iPhone? Here’s The Fix.